Providing you the best range of check valves, wafer check valves, disc check valves, angle check valves, swing check valve and cast steel check valve with effective & timely delivery. 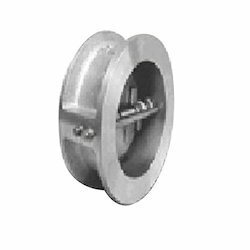 We manufacture Check Valves for various industrial use. We design check valves which are soft seated. Our check valves are extremely durable and usually work to achieve perfect shutoff even after years of disuse. Our offered range are well appreciated by our customers. Leveraging on our years of experience in this domain, we have been able to provide an excellent range of Wafer Check Valves to the customers. Our clients can get these products at highly affordable price range. These products are manufactured by our employees making use of superior-grade raw material that is collected from the reliable vendors. Moreover, we conduct various quality tests on the offered products before delivering to the clients so as to ensure their compliance with the international standards. Leveraging on our vast industry experience, we have been successful in offering high quality Disc Check Valves. These valves are mounted in between the flanges and are installed immediately just after pump to preserve the flow reversal. Offered valves are extensively demanded among the clients for their fine finishing, dimensional accuracy and rust resistance. We are among the prominent manufacturers and suppliers of a wide range of Angle Check Valves. 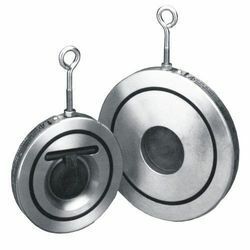 Resistant to wear and tear, these are highly acclaimed among the customers we have. Known for their easy installation and dimensional accuracy, the entire range of the angle check valves offered by us has garnered words of intense praise among the customers we have. With assurance of quality as per the international standards, our esteemed clients can get a wide range of Swing Check Valve from our organization. 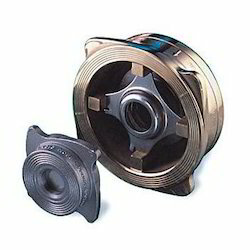 Designed with premiere-grade raw material, these products are widely demanded in various industrial applications and acclaimed by the patrons for their high performance. Moreover, we are offering these products to the customers at reasonable price range. We offer our clients an extensive array of Cast Steel Check Valve that is widely appreciated for its reliable operations, rigid construction and longer functionality. Further, this range is checked on different parameters to ensure that we are delivering only flawless product to our customers. 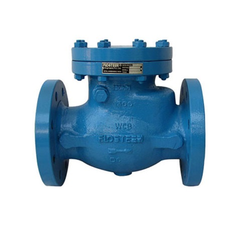 We offer high quality Dual Plate Check Valve to our valuable customers. 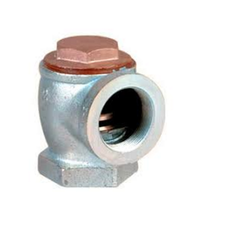 These valves are precisely designed from finest quality metal and alloy that is obtained from well known and trusted vendors. 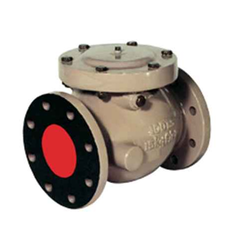 Manufactured as per the industry set standards, the offered valve is widely used for different fluid regulating applications. 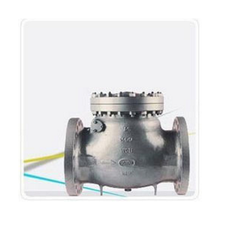 The offered valves are highly demanded in the market for easy operations, dimensional accuracy, corrosion resistance, and hassle free installations.